Caroline Cerveny, SSJ., D. Min. CAROLINE CERVENY, SSJ-TOSF, D. Min. Sister Caroline is the Founder and President of Digital Disciple Network (DDN). She moved to Florida after 27 inches of snow fell in Lincoln Park, NJ in 2003. After leaving Saint Leo University in 2010, she decided to explore how a training program could be created to train pastoral ministers to use technology comfortably in their ministry. After meeting Claudia McIvor at a St. Petersburg Diocesan Gathering, a wonderful friendship developed, and we collaborated and created a training event to serve parish catechetical leaders. This program soon became the Digital Discipleship Boot Camp (DDBC) that has involved almost 500 participants from all ministry levels – Catechetical: DREs and Catechists, RCIA, Youth Ministers, Sacramental Formation, Bereavement Ministry, Communication Directors, Teachers, Clergy, Deacons and more. DDBC attracted participants from over 30 US States, Canada, New Zealand, Australia, and Portugal. 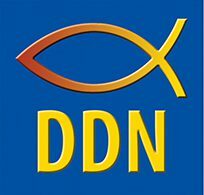 The next stage of DDN is to gather collaborators from around the country and beyond who desire to train others to be Digital Disciples. Like Pope Francis, I ask “How can we be ‘neighborly’ in our use of the communications media and in the new environment created by digital technology?” DDN is about creating a disciple who is a neighbor and friend with others. For additional information about Sister Caroline, visit her LinkedIn Profile.